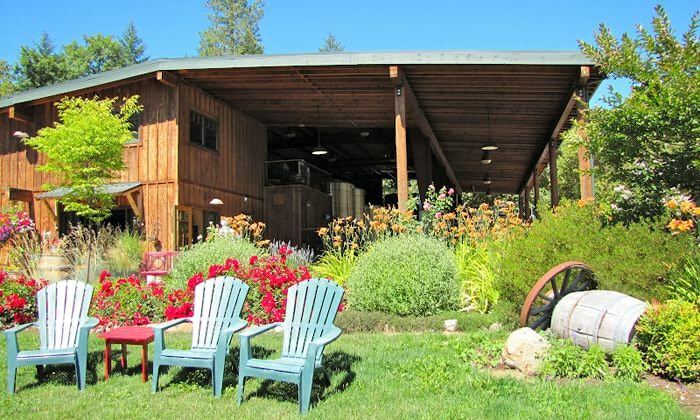 Wooldridge Creek Winery's owners brought their love of French winemaking to Southern Oregon. LaBrasseur Vineyard's Fred and Candy LaBrasseur harvest their grapes and bottle their wines all by themselves. 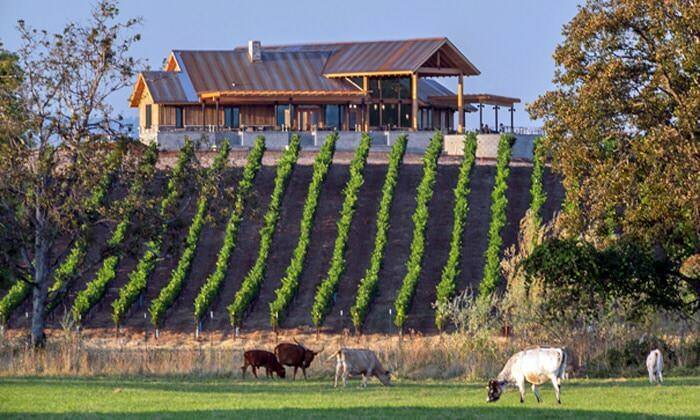 Tucked between the Rogue River and the famous Upper Table Rock, Kriselle Cellars produces one-of-a-kind wines. Thinking about heading down to Southern Oregon this summer? It’s a beautiful place to visit. Between the gorgeous outdoors with rivers to raft and hills to climb, excellent restaurants, live theater and, of course, amazing wine to taste, your trip to the southern part of our state will be an amazing adventure! I spent a month last summer driving the rolling hills and open valleys of Southern Oregon looking for great wine. You know what? (Spoiler alert!) There are some extraordinary wines down there. Yes, Oregon is the land of pinot noir, but there is so much more to our remarkable state. From Roseburg to Ashland and Elkton to Eagle Point, I met with more than two dozen winemakers. What impressed me most was the huge range of other varietals, including Tempranillo, Syrah, Viognier and Marsanne Roussanne. As always, the best part of my job at Cellar 503 is getting to meet the people behind these glorious wines and hear their stories. Each winemaker comes to this industry through a different path, but yet are united in their passion for their craft. Just outside Jacksonville at Wooldridge Creek Winery, you’ll find winemakers Greg and Kara Paneitz. 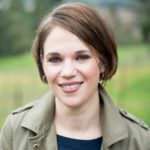 Greg was educated in France and has a background in chemical engineering, while Kara brings experience in food and marketing from the California wine industry. Together, they are a perfect match. Their love of southern France’s climate and winemaking style brought them to Oregon in 2002. 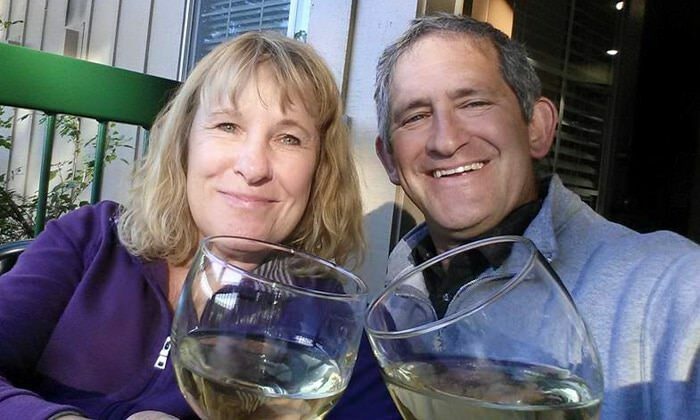 Greg and Kara have a strong commitment to the winemaking community in Southern Oregon. They understand that if the region is going to thrive, they need to bring in young winemakers. To entice these new winemakers to settle their families into Southern Oregon, Greg and Kara have devoted themselves strengthening the local schools and community resources to ensure their families are satisfied with the local area. After my ﬁrst visit to LaBrasseur Vineyard’s beautiful property, which was literally over the river and through the woods (and up a long gravel road) outside Medford, an idea stuck with me. This place is in the middle of nowhere, but everyone needs to know about this wine! Fred and Candy LaBrasseur started the winery in 2011 as their retirement project. Fred had just ﬁnished a 34-year career in the Medford Fire Department and wanted to grow something on their property in Eagle Point. After consulting with folks in the area, they decided that grapes were the perfect crop. But they didn’t just want to grow grapes, they decided to take on the winemaking as well. With a lot of hard work, a little luck and some great advice from fellow winemakers in Southern Oregon, Fred and Candy planted their vines and built their winery by hand. Still today, they harvest their grapes and bottle their wines all by themselves. On a sunny summer day, I met Scott Steingraber, owner and winemaker at Kriselle Cellars in White City outside of Medford. The view from the gorgeous tasting room — rolling hills, herds of cattle and row upon row of wine grapes — was stunning. Scott’s career in civil engineering took him and his family out of Oregon and to San Francisco and Seattle, which is where he explored different wine countries and started experimenting with winemaking. In 2003, Scott moved back home to Oregon and started a winery on the land owned by his wife, Kriselle. The vineyard is part of the working Buxton Ranch, tucked between the Rogue River and the famous Upper Table Rock. The soil of the vineyard is loaded with river rock, which brings a lot of heat to the grapes and makes the vines struggle, but ultimately produces strong fruit with intense flavors. When you taste this wine, you’re tasting the warmth of Southern Oregon, the richness of the Rogue and Scott’s journey through the great wine countries of the West Coast. You’ll definitely build up an appetite after a full day of wine tastings. I recommend enjoying a fabulous meal at one of these restaurants, which also happen to have amazing Oregon wine lists. Larks offers authentic farm-to-table dining that satisfies your soul as much as your taste buds. The chefs reinvent homestyle cooking into artisan creations using local organic ingredients. Happily indulge at one of two locations, the famous Ashland Springs Hotel or the Inn at the Commons in Medford. Jacksonville Inn uses locally sourced food products, organic farm produce, wild-caught fish and Oregon-grown meats. In addition to fresh, creative dishes that you’ll write home about, the Jacksonville Inn has a welcoming atmosphere; it’s been named the best patio in Southern Oregon. Best of all, the restaurant offers more than 2,000 wines. Smithfields is a New American nose-to-tail steakhouse with local sourcing and wines in a rustic, minimalist setting. You won’t be able to eat BBQ the same again. After you fill up on Smithfields’ wide selection of food and wine, continue your night out across the street at Smithfields Pub & Pies. You can’t spend time in Southern Oregon without visiting the Oregon Shakespeare Festival or Britt Music & Arts Festival. Located in Ashland, the Oregon Shakespeare Festival is a nationally acclaimed regional theater festival. The festival season lasts from February to November and produces 11 plays on three stages. You can’t beat seeing Shakespeare under the stars in its outdoor Allen Elizabethan Theatre. Meanwhile, the Britt Music & Arts Festival is an outdoor summer music and performing arts festival featuring world-class artists in jazz, folk, country, pop, dance and classical music. Performances take place in a beautiful, intimate outdoor arena in the heart of Jacksonville.